If you have a group of people who love cookies and chocolate brownies, then this large basket just might be the perfect gourmet food gift. 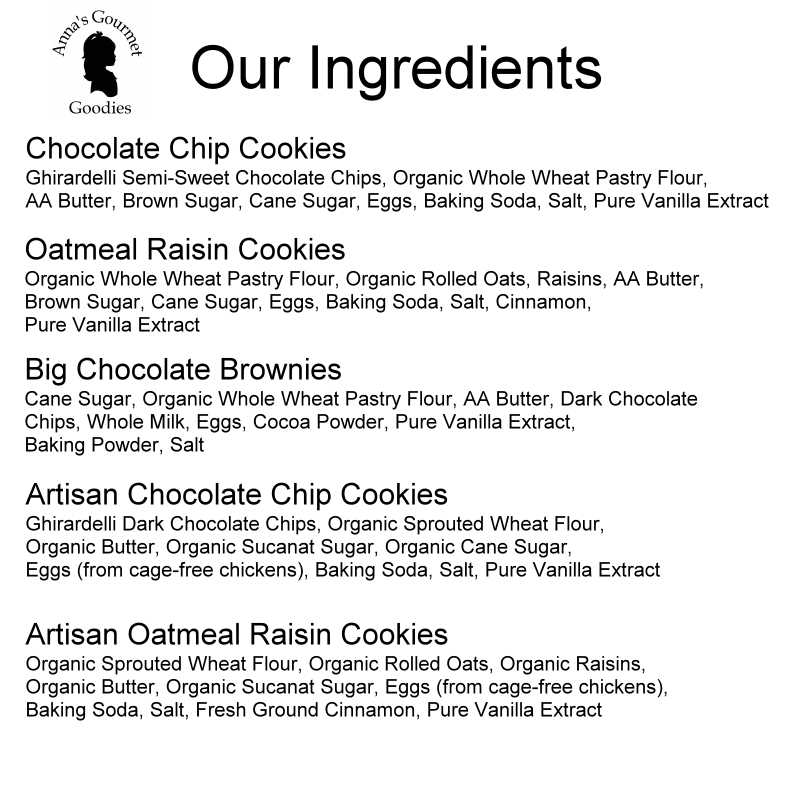 Choose chocolate chip, oatmeal raisin, or mix it up. Our gourmet cookies and brownies come wrapped in packs of (2) cookies or one brownie for freshness and ease of sharing. A great gift that will make a lot of people happy! As always, Anna's delivered a perfectly done product that really made the day of the office staff to whom it was sent. Can't say enough about the quality of the products and service. There is not a better gift out there. Any occasion can warrant Anna's cookies. We recently sent them to the customer service department of a company we work closely with and they were a HUGE hit. Having them packaged by twos is also great for giving to a group. I cannot say anything but good things about Anna's, from their high quality ingredients, to their stellar product, to their great customer service. You cannot go wrong with a gift from Anna's!